Lovers of red mani's and one coat wonders, beware: there's a new Chanel Le Vernis in town and it has your name written all over it. 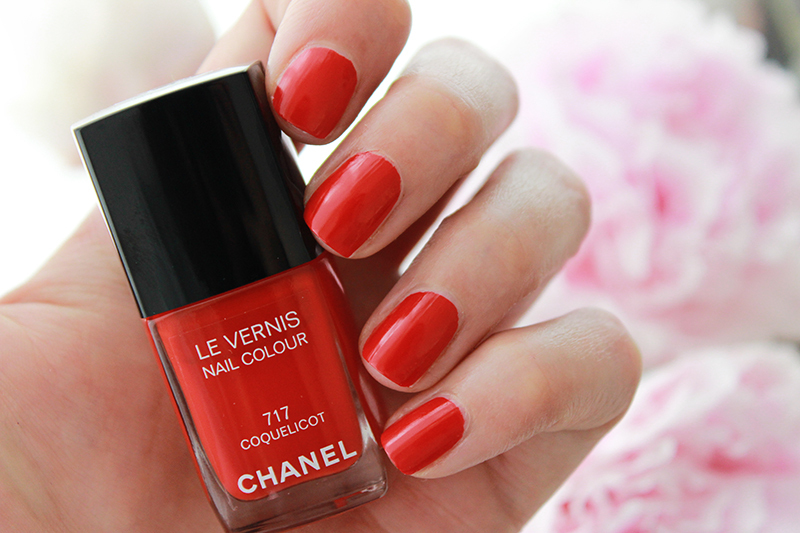 Chanel's Le Vernis in 717 Coquelicot is a hot orangey red that is amazingly pigmented. I am only sporting one coat of varnish in this picture. The colour turns even intenser with two coats, and a little glossier too. But if you're in a hurry.. this one will take you from bare nails to hot Coquelicot in a few minutes. And it's totes summer proof!